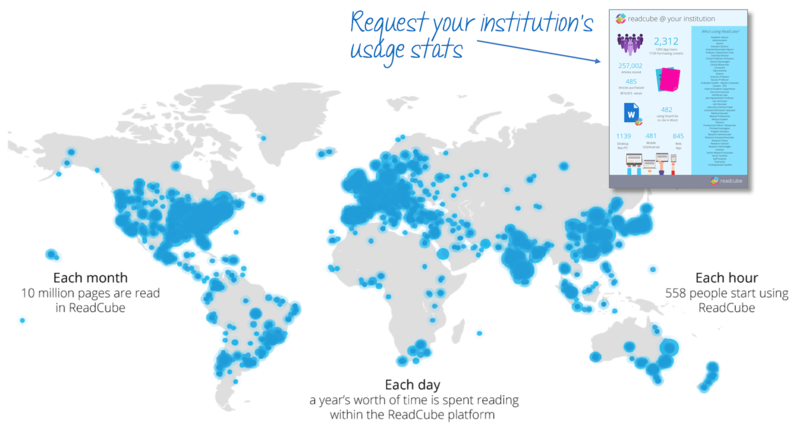 From their first literature search to their manuscript submission, students, researchers, and faculty alike are turning to ReadCube to help them collect and curate the research material that they're passionate about. Collaboration team features including ability to create shared folders to drive collaboration amongst their research teams. Perfect for labs, journal clubs, classrooms and working with collaborators. Accelerated adoption/deployment programs with available SSO implementation. Training programs for users and library staff, custom promotional material and premium support. Advanced usage analytics reporting delivering real-time insights, enabling better resource management. Optional integration with Anywhere Access service, delivering 1-click PDF access for Open Access and Library-entitled content. 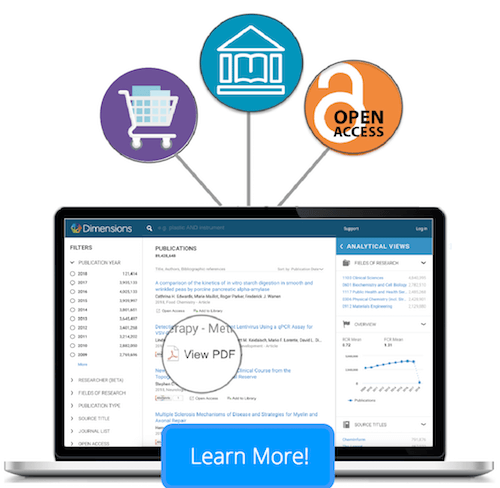 Anywhere Access is a next-generation library solution that delivers simple 1-click full-text PDF access for both Open Access and library subscribed content. Designed to keep pace with the needs of today's researcher, Anywhere Access works seamlessly both on & off campus and support discovery across the web including popular scholarly search engines, scholarly social networks, and publisher websites.